A Southwest Airlines Boeing 737 with the carrier's new paint job lands at Hobby Airport. The planes being prepared for departure from the international terminal sport the carrier's older paint scheme. Southwest Airlines Co. sees a risk that cost pressures will linger beyond next year as it struggles to rein in an unexpected jump in expenses. The carrier can’t yet say whether efforts to control spending and boost sales will ease the drag on profits after next year, Chief Executive Officer Gary Kelly said. Southwest is still trimming the 2019 budget and working on a “fairly significant initiative” to increase revenue and improve efficiency at the largest U.S. discounter, which counts labor as its biggest expense. Southwest, which has been investing in technology upgrades, new planes and expanded airport facilities, is drawing heightened scrutiny on expenditures after forecasting last month that costs for each seat flown a mile will increase at least 3 percent next year even after excluding fuel and certain other items. Analysts had expected the gauge, a key measure of efficiency, to rise about 1 percent, and the outlook prompted Southwest to tumble the most in two years. Preliminary work from a planning review in August showed cost inflation next year “in every single line item,” Kelly said. Trends for 2018 weren’t alarming, he said. One saving grace for 2019 is that travel demand is booming, making it easier for airlines to raise prices. Kelly stood by his goal of expanding profit margins next year, which would require growth in revenue from each seat flown a mile of more than 3 percent. “The revenue outlook for 2019 is very good, and suggests that having a goal for operating margin expansion, if fuel is constant, is not unrealistic,” Kelly said at Southwest’s headquarters in Dallas. The shares rose less than 1 percent to $52.76 on Monday, but are still below their level before the company announced its weaker cost outlook on Oct. 25. Southwest has fallen 19 percent this year, the second-largest drop among the largest U.S. carriers. Only American Airlines Group Inc. has performed worse. Southwest began raising domestic fares $2 to $5 one-way last week and has since expanded the effort, Jamie Baker, an analyst at JPMorgan Chase & Co., said in a report. Southwest increased another 21,000 fares on Monday, bringing the total close to 90,000 and effectively covering its domestic network, Baker said. 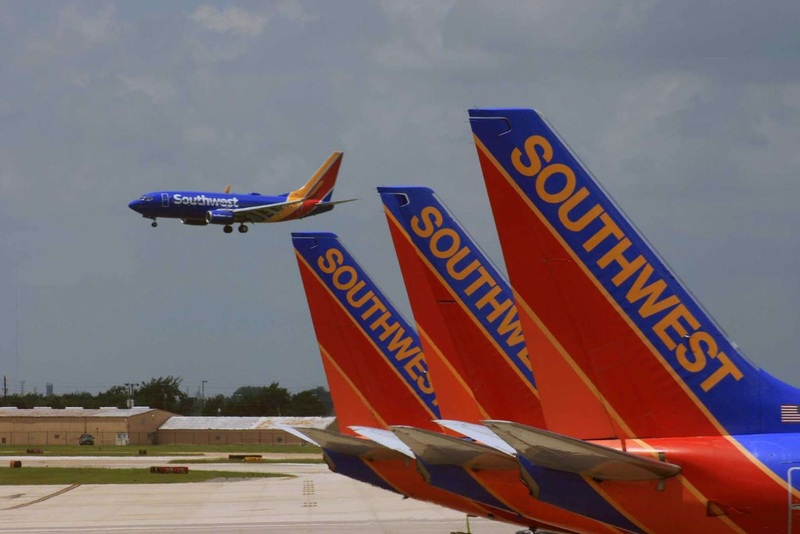 The move “serves as the first tangible evidence of stepped-up revenue vigor” from Southwest in response to cost challenges expected next year, he said. Southwest President Tom Nealon is leading an effort to boost efficiency at airports, flight operations and crew scheduling. The company is also trying to squeeze corporate overhead expense. Network changes, in part to reduce the cost of recovering from storms or other events that disrupt flights, will be largely invisible to passengers. Nealon is also using capabilities from a $500 million technology upgrade to boost revenue through new commercial opportunities the airline won’t detail at this stage, some of which won’t be ready until 2020. While employee-related costs are the airline’s biggest expense, Southwest won’t offer an early retirement or buyout program to workers, Kelly said.